Recommended websites are government and research based information. All efforts have been made to avoid using subjective and/or for profit websites. Monitoring the Future- an ongoing study of the behaviors, attitudes, and values of American secondary school students, college students, and young adults. PIRE- Excellent research statistics and studies on underage drinking and other drugs. Addictions Research at Universitiy of Texas... sponsored by NIDA. Healthcare Cost and Utilization Project (HCUP)- Family of health care databases and related software tools and products is made possible by a Federal-State-Industry partnership sponsored by the Agency for Healthcare Research and Quality (AHRQ). Addiction- Why is it so hard to quit? and Anyone can become addicted to drugs. Best book I would recommend: Enabling or helping our children? Proven Holistic Treatment for addiction and chronic relapse by John J. Giordano, C.A.P. I’ll Quit Tomorrow You may want to get two of these books. Reclaim your family from Addiction by Craig Nakken “What happens to the “we” of a family when one member opts for the blind and single-minded “me” of addiction?” This perfect starting point in the healing process, this book also reminds us that recover is possible - for individuals, couples, and whole families- if only we know what to do. Addictive Thinking- Understanding Self-Deception by Abraham Twerski, M.D. Addiction: why they can’t just stop? from the HBO series. After a year of reading and researching about addiction and recovery this is the best book I have read. It truly helped me understand why addiction and recovery are so complex. The Selfish Brain- Learning from Addiction by Dr. Robert L. Dupont Another great book for details on addiction and recovery. This book is a text book for addiction. If you really want to help some with their recovery you need to learn about addiction. 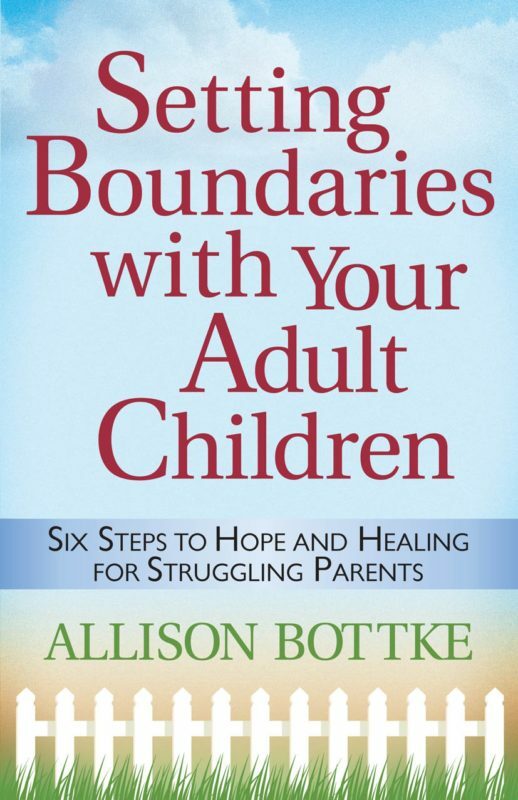 The best book I have read is Setting Boundaries with Your Adult Children- Six Steps to Hope and Healing for Struggling by Allison Bottke View her website to find support groups, webcasts and other books (be sure to look on the left side of the website for other books she recommends many of which she refers to in her book). The people I have recommended this book to have said it has changed their lives. Another great book.... Don’t Let Your Kids Kill You- a guide for parents of drug and alcohol addicted children by Charles Rubin. Just Love Her by Trina Hayes A mother’s journey of healing through her daughter’s drug addiction. No Turning Back by Father Donald Callahan A truly inspiration and hopeful book. Slaying the Addiction Monster by Sheryl Letzgus McGinnis “Slaying the addiction monster is the second book by Sheryl Letzgus McGinnis. 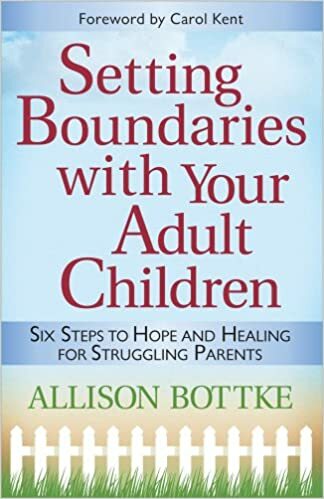 Inside this book you will find interviews with leading addiction researchers and read advice from parents to other parents about living with an addicted child. You’ll learn how to stage an Intervention and read the scientific evidence of why the Teen Brain is different from the mature brain. There is a chapter about the wrongful incarceration of nonviolent drug users.” This is a very good book. Every parent should read and be vigil about where your child is at all times. Two points I learned: The sooner a person starts experimenting with drugs the more likely they are to become addicted and marijuana is truly the gateway drug. Broken by William Cope Moyers. “My story of addiction and redemption. We have to remember each time we speak out, we act as a beacon of hope.” Another good book written with a wealth of information about the struggles an addict go through on their recovery. Beautiful boy : a father's journey through his son's addiction by David Sheff. TWEAK by Nic Sheff. Nic’s story of an addict’s life and the many facets of recovery. These books allow the reader to both sides of addiction. David tells how Nic’s addiction affected the family particularly how his life got out of control when he tried to “help” his son. Nic’s autobiography helps a nonaddicted person see just how addiction takes over all aspects of a person’s life. I would recommend this book for the family but not necessarily for an addict. It would be difficult for me to read and setoff some triggers. Saving a Life: How We Found Courage When Death Rescued Our Son by Charles and Janet Morris. Reading these books helps a person to think about positive often uplifting thoughts that will motivate the person to think about a better future and encourage he/she to reach their goals in life. These books would be helpful for entire family and concerned friends to read. Keeping a positive outlook may be the key to a successful recovery for everyone. The recovery process is often as exhausting for the family as for the person receiving treatment.